The Sinclair Spectrum ZX Vega+ handheld is at the centre of one of the most controversial crowdfunding video gaming campaigns since this internet business model became popular. Last week crowdfunding platform IndieGogo decided to halt any further fundraising by Retro Computers Ltd (RCL) after growing dissatisfaction from project backers. The company behind the project allegedly tried to lean on the BBC not to report that news. RCL has already received more than £513,000 in project backing funds. At the end of last week further pain for backers arrived in the form of yet another delay for the (Sir Clive Sinclair backed) ZX Spectrum-emulating retro handheld. Incomplete software features were blamed this time around with the remedy expected to take a few more weeks. 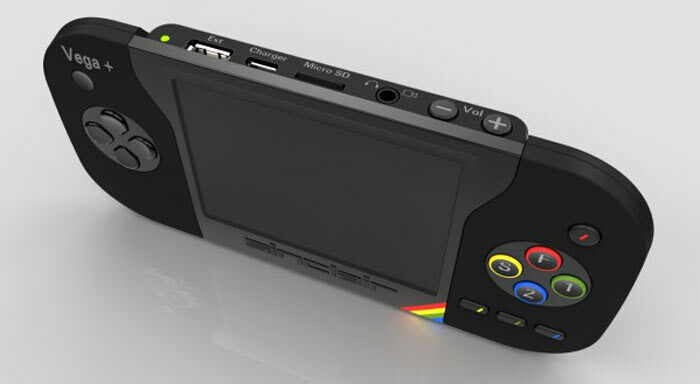 The £100 Sinclair Spectrum ZX Vega+ handheld was estimated to ship by September last year, as its crowdfunding campaign ended very successfully nearly a year ago (generating 367 per cent of the funding goal). Since that time company directors Paul Andrews and Chris Smith have left RCL, arguments have occurred over the product's intellectual property, there has been an alleged 'smear campaign' against various RCL employees, and the console shipment date has been delayed several times. Eurogamer cites RCL managing director Dr David Levy as saying that there will be a further delay to the shipping date of the Spectrum handheld console. He explained that "During what we had expected would be final testing of the product prior to the first shipment, we discovered that the software for three of the user features, which had been announced for the product, had not yet been implemented." Thus it will take "a few weeks before we will be ready to ship the first units." Dr Levy seemed to blame the departed directors for not completing a proper handover - so technical assets, like the software for the Vega+, had to be recreated from scratch by a small and less experienced team. Furthermore the 1000+ games list announced to come with the console were subject to several rights-holders withdrawing distribution permission in recent months. Since being published on Friday the linked Eurogamer article has been updated with a statement from Paul Andrews and Chris Smith, denying anything other than the fact that they are former directors of RCL. They encourage RCL to get on and deliver the console to backers. In conclusion, RCL's Dr David Levy says that he and other company staff are "at least a thousand times more frustrated," than IndieGogo project backers. He looks forward to delivering a great product and said that concerned or impatient backers have never been refused a refund. A lot of the people that are getting annoyed seem to not be able to tell the difference between ordering goods from Amazon and supporting a crowdfunded Project / Idea. All the comments of “I'm going to contact my card issuer for a refund for no delivery of goods” is utter rubbish and they have missed the point completely and I hope the card issuers tell them where to stick their requests. Crowdfunding something is a risk and if you are not willing to take that risk wait for the product to hit retail and then buy it. I still don't get the crowdfunding phenomenon… If you think you have a great idea in your hands, invest! Is there really a large demand for this thing? Yes. I take it you're too young to have owned a Spectrum back in the day?